After this, you may want to check out our article titled, How to Get a Pardon in Ontario because we know the importance of learning how to get bonded in Ontario and it’ a strong step in the right direction. 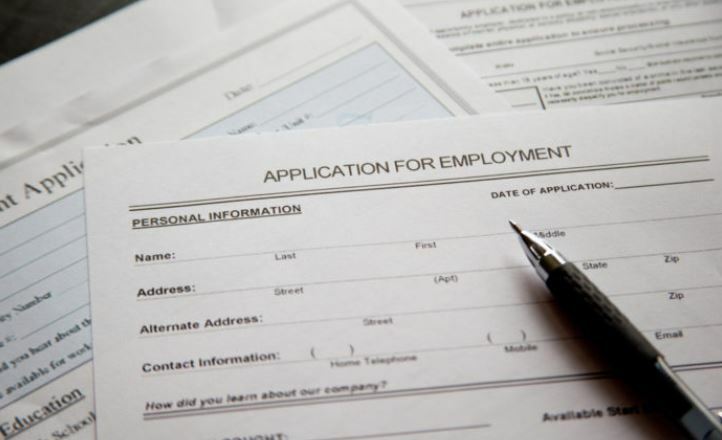 When you are job hunting, applying for positions, and attending interviews in Ontario, Canada, a common question that many interviews and potential employers might ask, either in person or on the application process itself, is if the applicant is bondable. Of course, they aren’t asking about bonds in terms of finances or stocks, but rather this question applies to a different topic altogether. Hiring bondable employees is becoming increasingly popular in Canada, from small businesses who want to express their trustworthy employees to their clients, to large firms who become bonded for their own security. This means that understanding just what being bondable means, and what effect it will have on your future career, is essential to anyone wanting to work in Ontario. Referred to as either being bondable, or getting bonded, this process involves your criminal record, and the best way to fully understand its meaning is by delving into the words, and then understanding the process of how to become bondable. The phrases bondable, or being bonded, is a shortened term for the technically correct, “fidelity bond”, which is ultimately what your employers will be asking you about. Other words to refer to a fidelity bond includes the casual phrase, an honesty bond, or even the contextually biting “employee dishonesty insurance”. As you might have guessed, a fidelity bond refers to a special kind of insurance that is offered to businesses, and the policy focuses on employees and their criminal history. When a company bonds you, it can be extrapolated to mean that the company has insurance in case you conduct illegal or dishonest behaviour as an employee. The insurance company is expected to pay out for any bonded employee who has caused harm to a company in financial terms, including fraud and direct theft. This financial damage covers a wide range of behaviours, such as lying on work-related travel receipts to stealing from the company’s coffers. In any way that a company loses profit from an employee’s illegal actions, this insurance will cover the damages done. Companies who don’t require a lot of experience, or require a low level of skills to conduct the work that needs to be done, often do not require their employees to be bonded. This includes businesses that offer fast food to customers and many retail and outlet stores. Other industries, however, put their employees in positions where attempted theft or fraud is more easily done, such as cleaning services who enter their clients’ homes, or employees who directly handle the company’s money or their clients’ finances. These are the industries who are looking to require bondable employees. Ultimately, a fidelity bond protects any company from liability that may occur due to their employees’ actions, and subsequent disputes or incidents that follow and would otherwise harm their business standings. There are two options when it comes to getting bonded for a job in Ontario. One is a simple process. The other is complicated and costly. Your ultimate path to becoming bonded relates directly to your criminal record and what information is contained in it. For those who don’t have a criminal record, the process is simple. If and when their employer or potential employer asks if they are available to be bonded, the individual is only required to agree in the affirmative. After that, the responsibility is solely on the employer to take out their bond as regards to your with their insurance company of choice. The only documents required are usually certain types government or official identification. On the other hand, individuals who have a criminal record cannot simply tell an employer, or potential employer, that they are bondable. Instead, they must take this moment to inform them of their own criminal record’s existence. It is true that having a criminal record does not automatically mean that you cannot be bonded by the company. However, there will be extensively increased premiums the employer must pay in order to get you bonded for their company, so they should be alerted to this fact right away. While it may seem tempting to lie to your employer, or simply omit the truth of your criminal record on your application in the hopes that it won’t be double checked later one, this is a terrible idea in the long run. If the company plans to get you bonded, both the company and their insurance company will run a background check on your name and information. They may be double checking your own information, but if they discover belatedly that you had lied about your criminal record, it would reflect poorly on your chances of being employed by the company. In fact, if you are already starting your job or position on this relatively severe lie, many companies will simply cast you aside and continue searching elsewhere for their next employee. In short, this is one of the times when honesty is always the best policy, even if you are worried about them finding out about your criminal record. Since it is almost impossible for them not to find out the truth later one, it is always best to choose the truth with your first impression. This is why you need to learn how to get bonded in Ontario. So, How to Get Bonded in Ontario? This is it: how to get bonded in Ontario and become bondable for your job search. If you are a highly skilled applicant who is in demand for the job in question, or if your employer is of the temperament where bonds or premium fees are not the end of the world, some individuals who have criminal records on file may still get that job that they want despite the extra burden it places on their new company or business. Unfortunately, the vast majority of employers who want a bonded employee are not looking to pay higher fees, and this may cost you the job so how do you become bonded? In these cases, most people who have a criminal record want to seek out their own criminal record suspension so they can get future jobs they want. This will both increase your appealing factors as a potential employee, as well as give you a peace of mind whenever background checks are conducted.